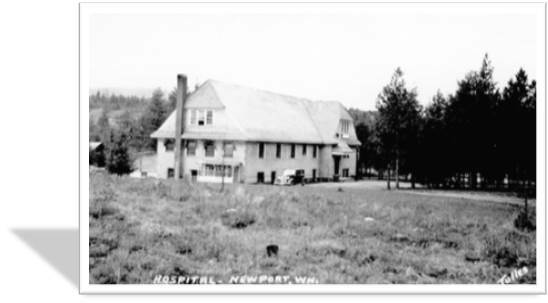 River Mountain Village Advanced Care is opening this summer, and we want YOU to help us decorate with historical photos of early life in the Pend Oreille River Valley! We encourage photos of life in the early 1900s through the 1960s, with special consideration given to photos taken during the years of World War I and World War II. All photos chosen to hang on the walls will give appropriate credit to the donor and offer a short description of the photo’s subject matter and approximate year it was taken. When was it taken (approximate year)? In person – We will scan the photo for you and return the original! Stop by or make an appointment with the Foundation Office (M-Fri, 8AM – 4:30PM) beginning April 1 through May 15, 2019. Call (509) 447-2441, ext. 4373 to schedule an appointment. You can sign a release form while you’re in the office. It only takes a few minutes to scan, but the scanner is limited to an 8.5” x 14” surface area. If your photo is larger than 8.5”x14”, please seek assistance from Petroglyph Printing or another commercial printer. Via email – Send digital photos and signed release form to [email protected] . All photos submitted to the contest are protected by copyright law, so we can only use photos submitted by the photographer or the family who owns the photo. 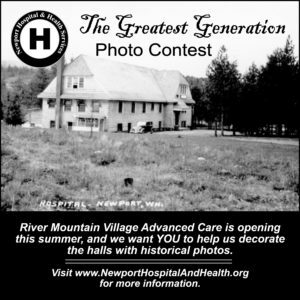 When you submit a photo for this contest you warrant that you own the rights to the photo and that by submitting the photo you are providing your permission for Newport Health & Hospital Services (NHHS) to use your photo. You continue to own all rights to your photo, but you are providing us with a license to use it as described here. 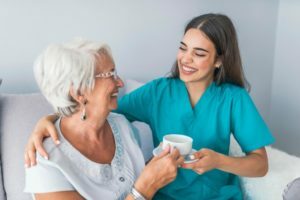 By submitting your photo you agree to its use in River Mountain Village Advanced Care, in a photo book fundraiser, and other potential NHHS digital and print marketing uses. Photo owners will continue to own all rights to the photo, and may use their photo in any other publication or website. By submitting the photo in the Greatest Generation Photo Contest, you agree to provide NHHS a license for its use indefinitely.